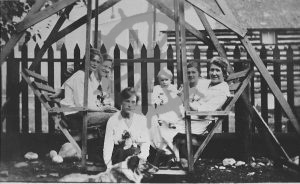 Group of 6 seated on backyard swing behind Charlotte Herridge's Bon Marche store (416 Broadway Street West, Nakusp), ca. 1920s. 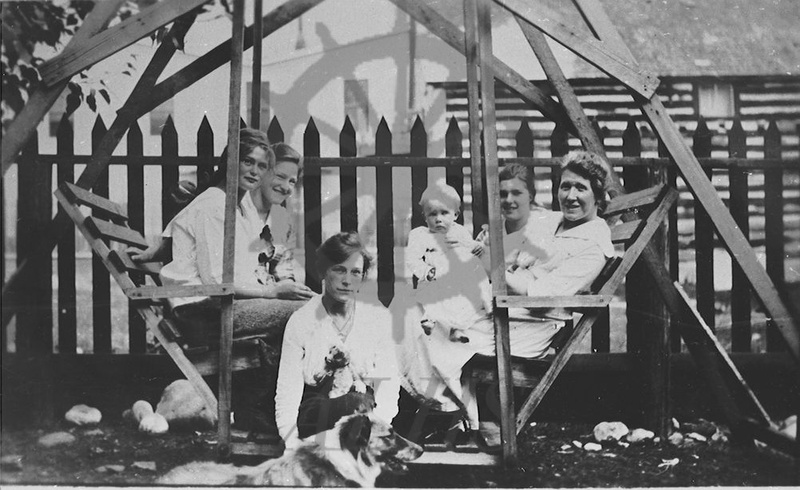 Hilda Steenhoff at far left. Charlotte Herridge at far right.